Discussion in 'Vita and PSP' started by Borshay, Jun 8, 2014. I guess we'll be finding out one way or another this week. Watched my brother play this on his new xbox one (replacement xbox number three, idiot) anywho, it didn't really look all that fun. Seemed to CoDish. This would be a great game for the Vita. I have it on the Xbox One and it really is a different take on shooting titles. It makes sense, as it is the perfect type of game for a handheld. NICE! 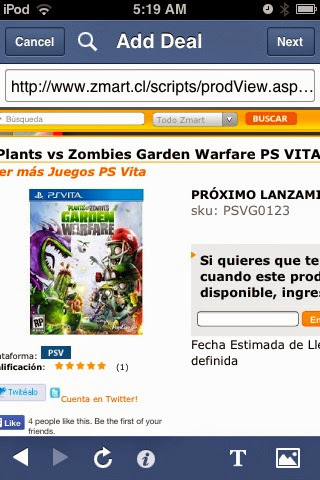 I love PVZ too. And zombies, in general. Which is why I'm quite interested in this Tapslayer game you're talking about. is it for free? And where can I play it? thank you!